Liverpool are reportedly keeping a close eye on Middlesbrough centre-back Dael Fry, as they look to bolster their defensive options. The England Under-21 international is an academy graduate on Teesside, and has made 39 Championship appearances since first breaking through into Boro's first team during the 2015/16 campaign. His performances have earned him international recognition with England at numerous levels, while Fry has won both the European Under-17 Championship in 2014, as well as the Under-20 World Cup last year. Fry's abilities have reportedly caught the eye of Liverpool's scouting team, with the ​Express claiming that Jurgen Klopp's side are 'compiling a dossier' on the central defender, having watched the ​Middlesbrough six times this season. With former teammate Ben Gibson having made the move from the Riverside to Burnley in the summer, it has been claimed that many clubs, including ​Liverpool, now view Fry as another player ready to make the step up to the ​Premier League. The defender joined his local club at the age of seven before signing his first professional contract at Boro in October 2014. He made his debut for the senior side aged 17, when he started against Preston North End on the opening day of the ​Championship and claimed the man of the match award. With Gibson now at Turf Moor, Fry has found himself at the heart of the Boro defence and has already featured thirteen times, and has also shown his versatility by deputising at right-back this season. Dael Fry denied Wigan a certain goal at one end with a brilliant covering challenge then came so close to scoring the opener at the other. Hacked off the line. Very comfortable and impressive at RB. 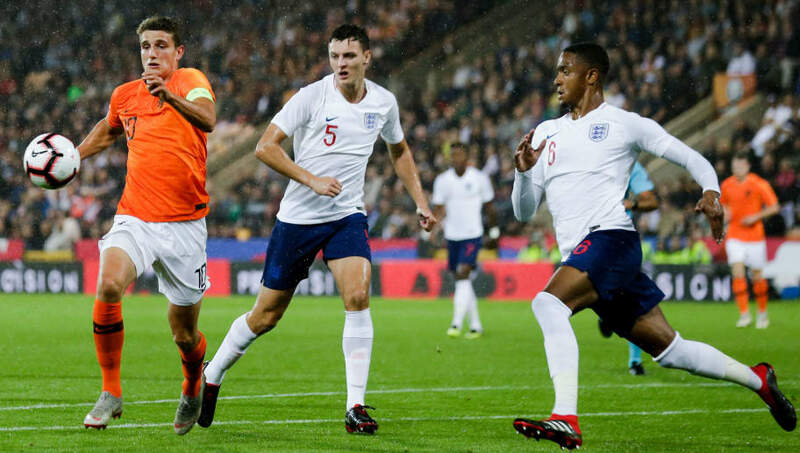 He now has ten caps for the England Under-21 side to his name, has scored twice, and played a key role as the young Three Lions won the Toulon tournament in the summer.